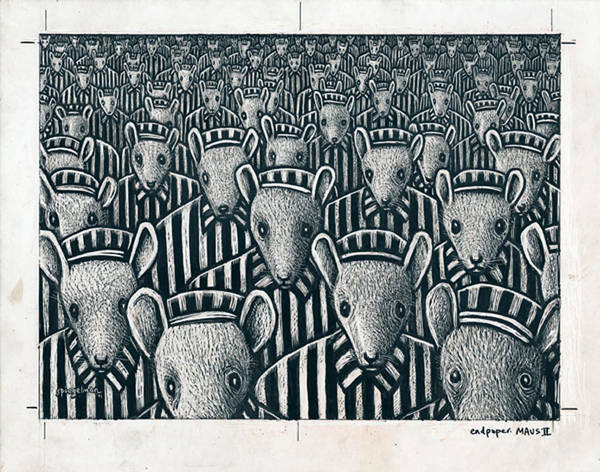 Maus is a graphic novel by American cartoonist Art Spiegelman. In it, Spiegelman interviews his father about his experiences as a Polish Jew and Holocaust survivor. 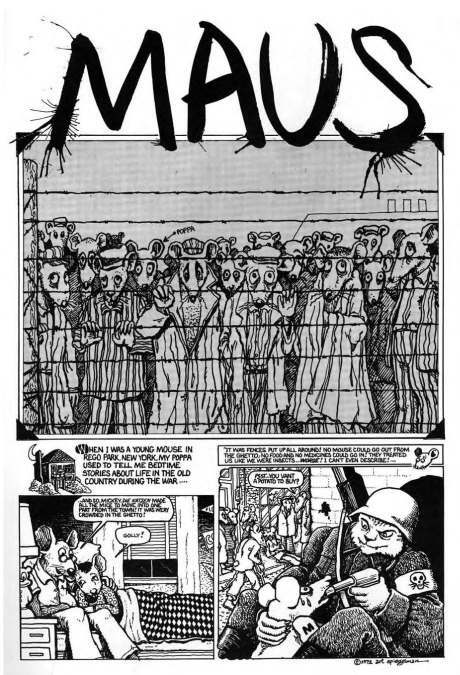 The book makes use of postmodern techniques in its presentation, most strikingly in its depiction of different races of humans as different kinds of animals, with Jews as mice, Germans as cats and Poles as pigs. 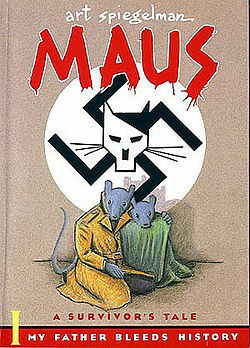 Maus has been variously labeled as memoir, biography, history, fiction, autobiography, or a mix of genres. It was the first comic book to win a Pulitzer Prize. The story alternates between two timelines. In the “present” frame tale, beginning in 1978 in Rego Park, New York, Spiegelman talks with his father about his Holocaust experiences, gathering material for the Maus project he is about to begin. In the “past”, Spiegelman depicts his father’s experiences, starting in the years immediately leading up to World War II. Much of the story revolves around Spiegelman’s troubled relationship with his father, and the absence of his mother. She committed suicide when he was 20. Her grief-stricken husband destroyed her written accounts of Auschwitz. Formally, Spiegelman struggles with problems of presentation, working with a strained animal metaphor that is intended to self-destruct. The book is deceptively simple, using a minimalist drawing style while displaying virtuosity in its page and panel layouts, pacing and structure. This entry was posted in Books, To Do List, Un livre pour donner envie de philosopher.